Stolen Horse International, Inc., aka NetPosse.com, is pleased to announce the addition of yet another fine service, the new Horse Auction Networking Resource database! Easy to use and free of charge, the Horse Auction Networking Resource allows you to retrieve the name and contact information of a specific entity, or produce a general list of all auctions, kill pens, feed lots and horse traders which operate within a particular state. If you know the name of the person or business you seek, simply enter it into the top line, press enter, and then click on the green search tab at the bottom of the form. If you are searching within a particular state, or wish to produce a general list within that state, enter your search topic into the top field, adjust the form accordingly by clicking on the drop down menus and then click on the search tab. Stolen Horse International needs your help. This is your database too! 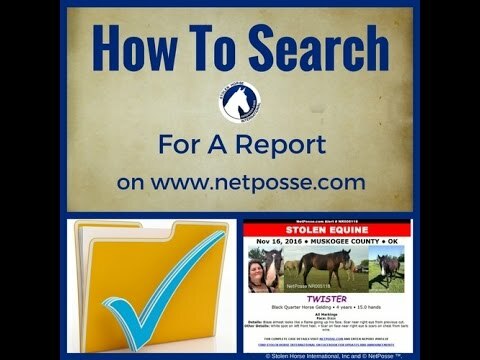 If you know of a name and address that is currently not on the list, we invite you to add it into the database for Stolen Horse International, Inc., especially since more categories have been added. If you have a list that you'd like to share, send it to Ellen Wright, Director of Administrative Services, ellen@netposse.com. 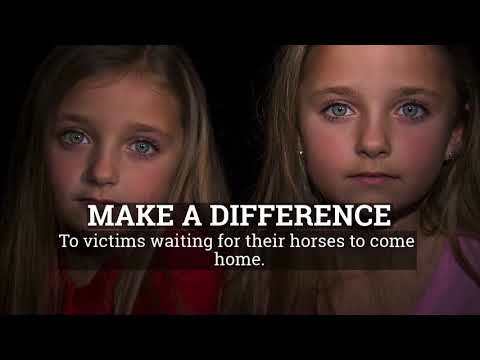 We hope you will utilize and share this fine product brought to you by the staff and volunteers of Stolen Horse International, Inc, helping to reunite stolen and missing horses with their owners! Stolen Horse International is the first and the most experienced organization when it comes to missing horses and equine ID. We appreciate your support for us and our victims when you share our press releases. For more information on Stolen Horse International and its programs, visit the website at www.netposse.com. Stolen Horse International is a Section 501(c)(3) organization under the Internal Revenue Code. Do You Know People Who Play With ‘Big Boy Toys’?